The Johnson Aluminum Grade Rod is designed for superior strength and long-lasting service with its durable aluminum construction. It features an anodized finish that provides corrosion resistance and additional protection. Its rectangular shape with round back enables comfortable grip while measuring. 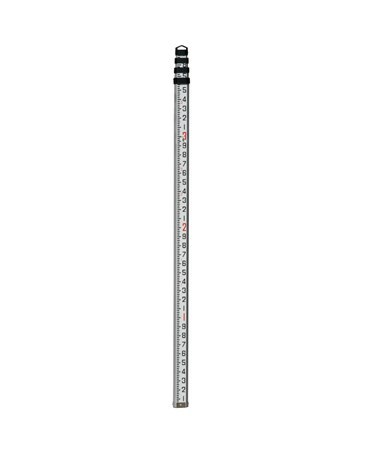 This Johnson aluminum grade rod is a four-section telescoping rod that offers a maximum height of 13 feet when fully extended. It collapses down to 47 inches allowing convenient storage and hassle-free transport. It also includes a soft case with shoulder strap for easy carrying from jobsite to jobsite. 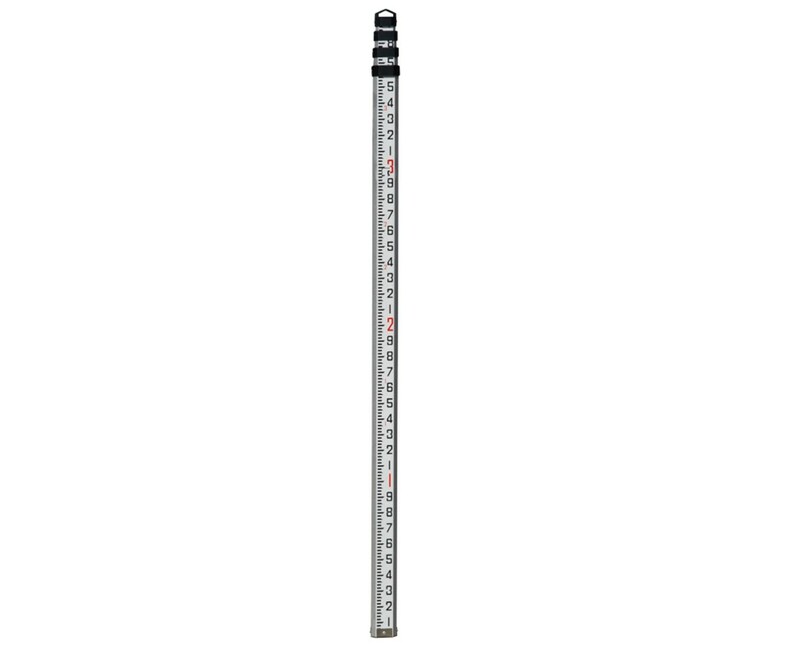 For precise measuring, the Johnson Aluminum Grade Rod is equipped with dual graduations. It is marked with engineer’s scale in feet and tenths of an inch and standard feet and inches. It also comes with a three-year manufacturer’s warranty for many years of excellent performance.